The Mi Gaming laptop features a 15.6-inch full HD display and is powered by up to 7th Gen Core i7 processor. Xiaomi unveiled its Mi Mix 2S in an event on March 27 and alongside announced its latest Mi Gaming laptop. 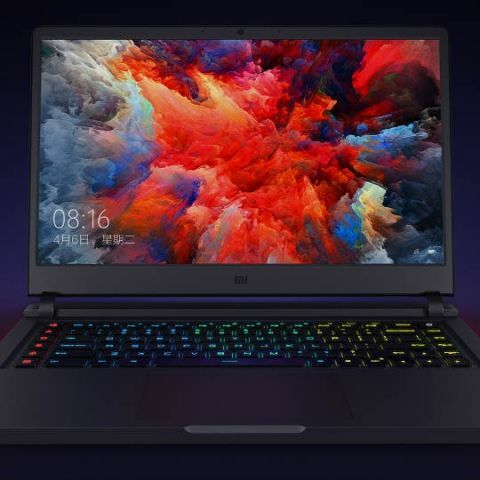 The company already offers the Mi Notebook Pro and the Mi Notebook Air in China and is now aiming to capture the gaming laptop segment with its new offering. The device is considerably thin for a gaming laptop as it measures 20.9mm in thickness and weighs 2.7Kg. It comes in two variants and will cost CNY 5,999 (Rs 62,000 approx) and CNY 8,999 (Rs 93,000 approx) in China. In terms of specifications, the Mi Gaming laptop features a 15.6-inch full HD display with a 1920 X 1080p resolution, 178 degree viewing angle, 300 nits brightness and “high-precision anti-glare”. It comes in two variants, the topmost variant is powered by the 7th Gen Intel Core i7 processor with 16GB DDR4 RAM clocked at 2400MHz and is coupled with the 6GB GDDR5 Nvidia GeForce GTX 1060 GPU. It comes with a 1TB HDD and 256GB NVMe PCIe SSD for storage. The lower variant of the laptop is powered by the 7th Gen Intel Core i5 processor coupled with 4GB GDDR5 GeForce GTX 1050Ti and 8GB DDR4 RAM clocked at 2400MHz. It is also equipped with a 1TB hard disk but comes with only 128GB SSD. The Mi Gaming laptop features a full-sized ‘four-zone’ RGB-backlit keyboard with five-programmable keys. In terms of connectivity, the Mi Gaming Laptop is equipped with a USB Type-C, HDMI 2.0, Ethernet, four USB 3.0 ports with along with a mic and headphone jack, and a 3-in-1 memory card reader. The device is powered by a 55 watt-hour battery which the company claims can deliver up to 5 hours of online video, 5.5 hours of local video playback and up to 6.5 hours of web browsing. The gaming laptop is equipped with a 12V cooling fan and four fan outlets for heat dissipation. It is also comes with a 3W Dolby Atmos speaker with Hi-Res Audio as well.